Note: You must install the Decisions.AWS module in order to continue. Amazon Web Services&apos; S3 offers cloud-based storage that can be integrated with your system. To integrate your system with Amazon Web Services, go to System > Settings	, select Amazon WebServices Settings	and select the Edit Amazon Cloud Settings	action. 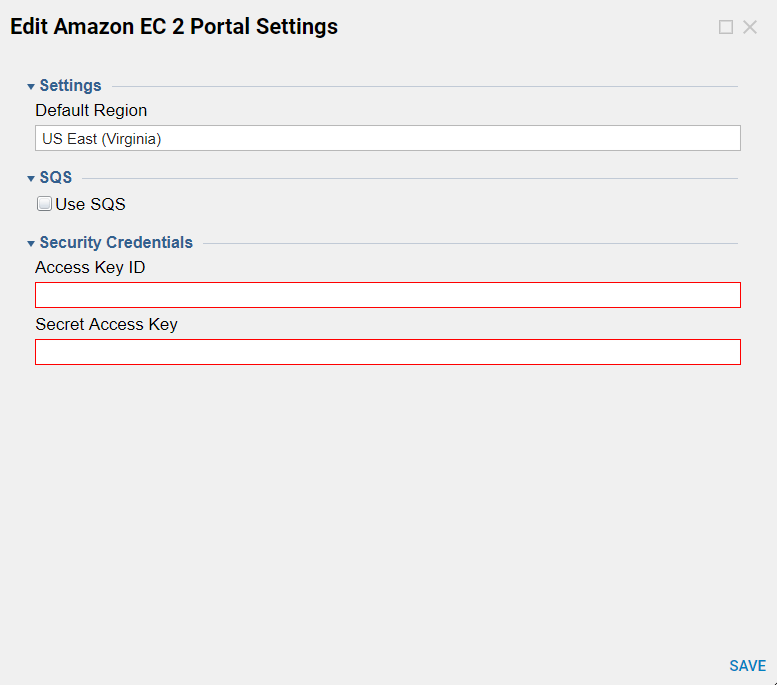 An Edit Amazon EC 2 Portal Settings pop-up will prompt you for your Access Key ID and Secret Access Key - both of which can be retrieved from your Amazon Web Services Management Console. In the portal, navigate to System > Settings	. UnderFolder Data	, select Amazon WebServices Settings	. In its action menu, select Edit Amazon Cloud Settings	to open an Edit Amazon EC 2 Portal Settings pop-up. Complete the KeyName	field with a valid Access Key ID	and fill in SecurityKeyName	with its corresponding Secret Access Key	. You can retrieve AWS Access Key IDs	and their corresponding Secret Access Keys	inside the Security Credentials section of the Amazon Web Services Management Console.